Akbar&Armaghan (Gorgan, Iran) on 30 March 2014 in Plant & Nature and Portfolio. Idée jolie que des tournesols boudant le soleil. Et belle photo. Quel soleil et vue quelle fleur jaune dans cette ambiance sueprbe. Fabulous image beautifully rendered ..! Lovely warm mood! 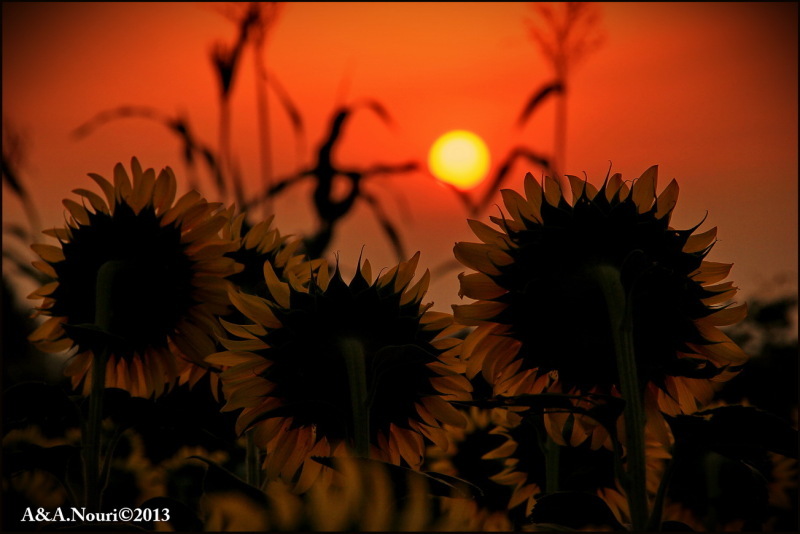 The Sunflowers are facing the sun till the very last moment ........... Beautiful frame!!! Beautifully-composed shot with such rich colors!! The sun adds nice backlighting to the flowers. We watch television.They watch the sun.